Many companies will match an employees time volunteering with a financial donation. Companies either provide a set hourly rate for time volunteered, or provide a grant once an hourly goal is met. Contact your Human Resources or Corporate Social Responsibility department to find out if your company provides volunteer grants. Your support of Loaves & Fishes helps us to feed more of those in need. It may be possible for you to double your gift to Loaves & Fishes - and double the impact of your gift. Many companies match the gift of their employees and/or retirees. Check with your HR department to see if your company will match your donation. You can make a tax-deductible donation to Loaves & Fishes as a gift or in honor, or in memory of someone. Your recipient will be notified with a beautiful card mailed to them. 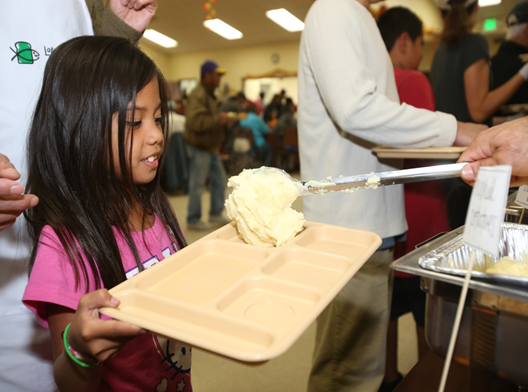 Your gift will provide free hot nutritious meals to anyone in need. 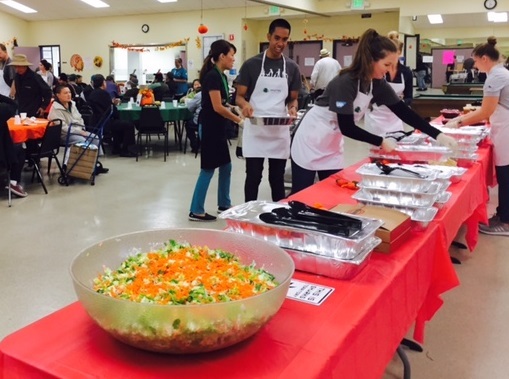 Because Loaves & Fishes Family Kitchen of San Jose is managed efficiently and cost-effectively, you can be sure more of your donation dollars go directly to individuals and families in our community that need help. We have built a solid reputation as a responsible community benefit organization and have many clients that depend on our services to make ends meet. Loaves & Fishes is 503(c) non-profit corporation. All contributions are tax-deductible to the full extent of the law.